The Nets season began to look promising. The young team led by Kenny Atkinson started to find their rhythm. Last week, as the team continued to improve they took their first 3 game win streak of the season; but with a loss to the Golden State Warriors Saturday Night things started going downhill. Brooklyn would look to regain their composure and secure a win as they took on the Butler-less Timberwolves. D’Angelo Russell started the offense in the right direction; scoring 11 points and dishing out 3 assists giving the Nets the lead entering the 2nd quarter. As the offense improved throughout the game the defense quickly followed. Ed Davis recorded significant minutes tonight in the rotation due to Jarrett Allen being out with an illness. Davis made defensive plays early on giving the Nets a lead late in the 2nd, but none of that would matter. 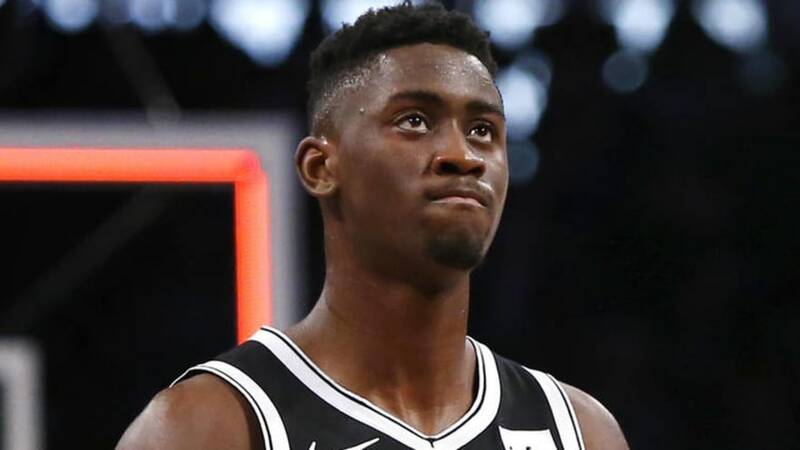 With 3.7 left in the first half Caris LeVert suffered a gruesome right leg injury which would cause him to leave the court on a stretcher. The entire crowd at the Target Center was silenced, tears filled the eyes of LeVert’s teammates while the Timberwolves huddled in prayer. Brooklyn would not recover, and the Timberwolves would defeat the Nets 120-113. “Tough blow. He’s the heart and soul of our program.. I feel for him. He’s had a fantastic start of the season,” said Coach Atkinson. The 24 year old was emerging as a star, having his breakout season and became a fixed piece of the franchise. LeVert’s improvement to the season has been inspiring, not only to fans but his teammates. “Guys were crying coming into the locker room. It was really that horrific just to see…. You’re heartbroken and you’re just overwhelmed with emotion..” said Joe Harris. Russell finished the night with 31 points and 6 assists. With Allen out, Rondae Hollis-Jefferson made his way into the starting line up; he finished with 14 points, grabbed 6 boards and dished out 6 assists. While Spencer Dinwiddie and DeMarre Carroll combined for 25 points, and Ed Davis off the bench with 14 boards. This is a tremendous loss to the Nets team and the organization and a tough end to their road trip. They will have to dig deep and pick up the pieces as they return home and face the Miami Heat Wednesday night.